QUEEN$ DOMIN8TiN, a Go! 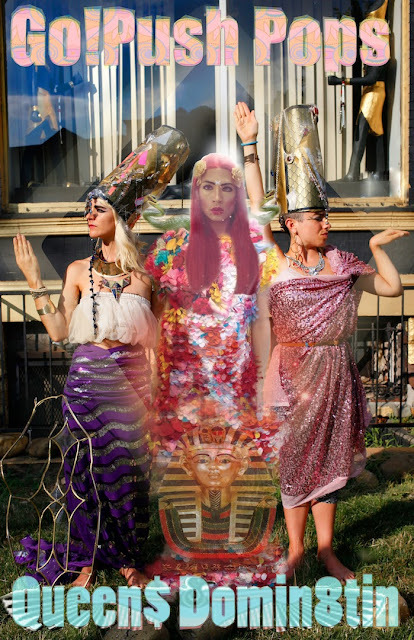 Push Pop project in collaboration with Untitled Queen, is a performance loosely based on Egyptian queen mythology, pop culture and drag accelerating our current global shift toward enhanced moon energy and the Divine Feminine. As a performative, neo-shamanic ritual, QUEEN$ DOMIN8TiN celebratesthe queer body as transcendent/shape-shifter/seer/healer for the Nu Age.